In today's business consistent and sharp focus on quality is required. Quality is a key factor in business growth. Quality is a most important factor in customer satisfaction. Customers expect perfection and today no one can afford to lose customers. Customer satisfaction is key in success of the organization. To gain customer satisfaction quality systems in the organizations should be efficient. Monitoring of quality is required in order to prevent customer from getting a low quality product. Quality not only determines the customer satisfaction but also helps organization to get a brand value and increased market share. 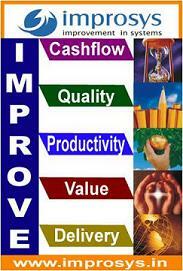 Improsys provides solutions to different problems on global delivery format. Improsys's Quality products and services help you improve your customer experience while reducing costs and increasing revenue. With our quality monitoring and management solutions, you can maintain exceptional quality across multiple channels without facing excessive costs and adding complexity.